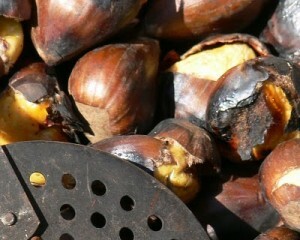 For the 1st November, chestnuts, "panellets"! The 1st of November is the celebration of "All Saints Day" (Halloween), and from Hotel Acapulco today we want to explain you some traditions followed here in Catalunya during this day. Probably Catalunya is not the only country where these traditions are followed, but it's always worth to know what you can enjoy of if you come and spend this day with us and your family at Hotel Acapulco. Probably the most known tradition of this day is going to the Semetery to visit the family buried there. But today we want to go further and center our post in the gastronomy following this Day. Autum is time for Mushrooms, pomegranate, chestnuts and "moniatos" (a type of potatoe). 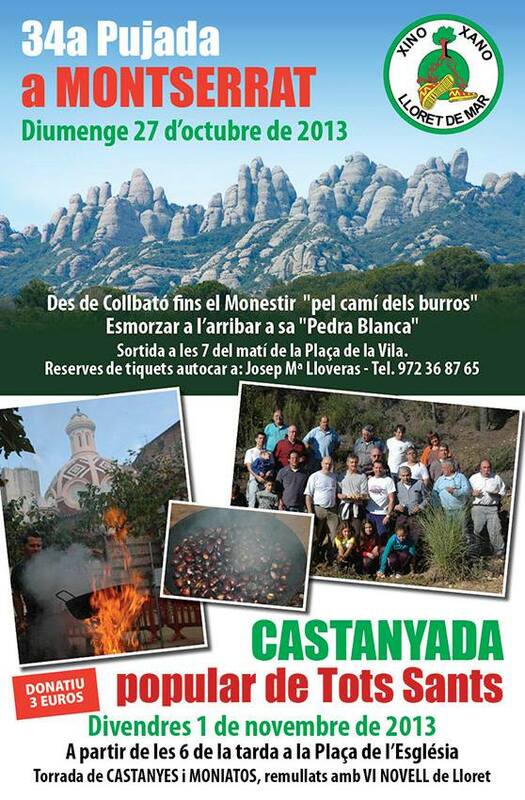 All Saints Day comes always with "La Castanyada" by its hand, a popular event where all the town join to eat roast chestnuts and "moniatos" and dring sweet wine. In Lloret you will enjoy of this the same First of November at 19.30 hs at the Church Square. You are all invited! It's also typical to eat "panellets". 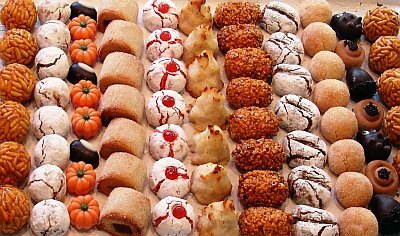 "Panellets" are a typical sweet/dessert of this month and the main day to eat is the 1st of November. Bizantic and roman origin, you can find them in all the bakeries during this month. You have forms, colours and tastes to choose from. Their main characteristic is the roast marzipan. 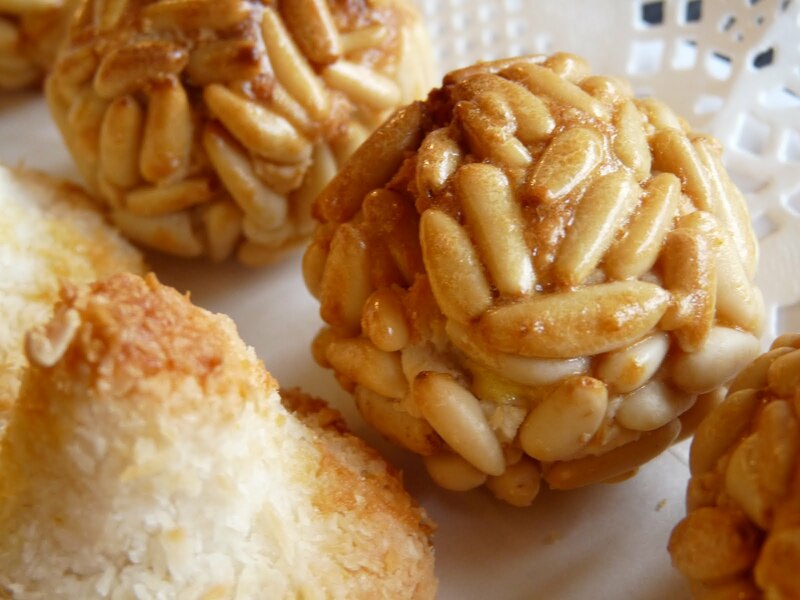 We recommend you the "panellets" covered by pines, a classic always worth to taste. 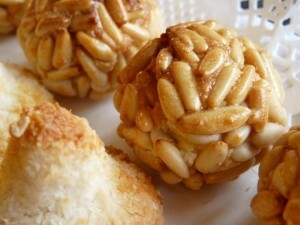 Making panellets is really easy and an activity to do in family with the children, they will love the procedure. Mix all the ingredients to prepare the marzipan until you get a soft mixture. Let the preparation rest in the fridge a minimum of 24 hours wrapped in a damp cloth. After a day, prepare small balls with marzipan, spread with beaten egg and stick the pines on the outside. Last thing, prepare a baking tray with butter, put the panellets on it and leave it in the tray for 8-10 minutes, 225-250 grades. Let them get cold and... bon appetit! You can change "moniato" for potatoe if you cannot find it or pines for roast almonds. You can also add cocoa to prepare chocolate panellets or coconut to give them an exotic touch. The youngest of the house will love it! We hope you enjoy these desserts and the Day. From Hotel Acapulco we wish you a Happy Halloween Day!